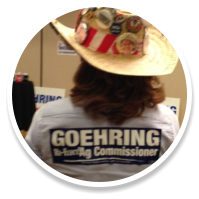 Home | Elect Goehring for Ag Commissioner! A 25-year farmer and current Agriculture Commissioner, Doug is a proven leader and strong voice for North Dakota agriculture. Add your name to the supporters backing Doug's re-election for North Dakota Agriculture Commissioner. Working with North Dakota producers, consumers, and policy makers, Doug has sought conservative solutions to the challenges and opportunities facing North Dakota agriculture. Doug’s relationships with officials in the U.S. Forest Service, EPA, FDA and USDA have cut through the “red tape” to deal with grazing issues on public land and bureaucratic over-regulation. Our region’s agriculture is in good hands with Doug Goehring at the table! 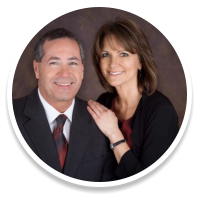 Doug Goehring lives and breathes North Dakota agriculture. And, as Agriculture Commissioner Doug is doing everything he can, every single day, to ensure it remains a vital and relevant part of North Dakota’s diversifying economy long into the future.